The headlines in the news has been one of natural disaster one after another with some causing the destruction of a whole island and the displacement of hundreds of people but the reality remains that unless it affects your daily life, ‘out of sight out of mind’ best describes how people view climate change. 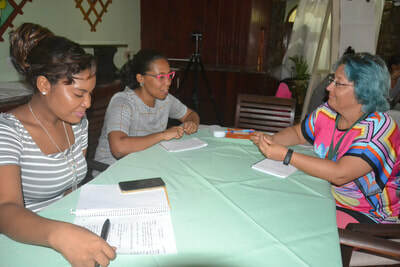 This one-day workshop organised by the SIDS Youth AIMS Hub (SYAH) and the Commonwealth Youth Climate Change Network (CYCN) brings young people training on effectively communicating about climate change through written and data visualisation to make it engaging and relevant to different target audiences. Chris Wright, a climate researcher, political ecologist with six years of experience in tracking UN climate negotiations, of Climate Trackers led the climate journalism training in the Seychelles which is his fourth stop in a series of trainings in Africa following similar workshops in Zambia, Zimbabwe and Malawi. 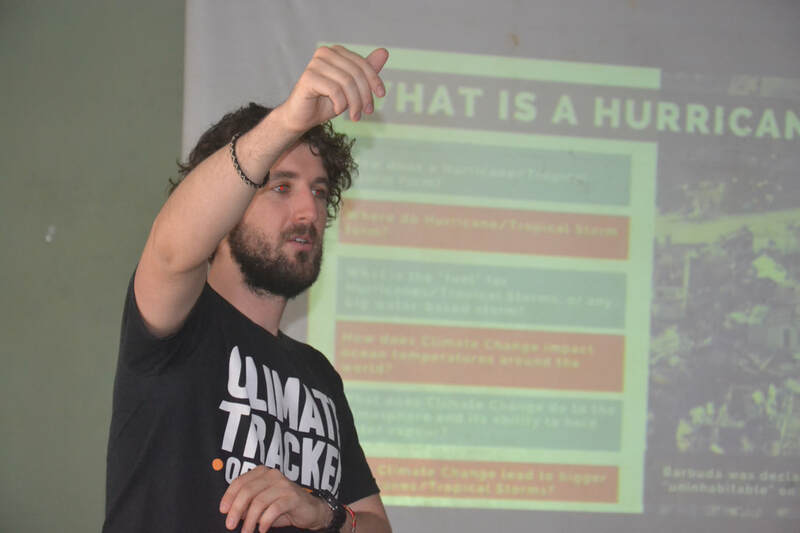 Climate Trackers is a leading organisation that seeks to empower the next generation of climate journalists offering training and mentorship to climate activists and journalists since 2015. 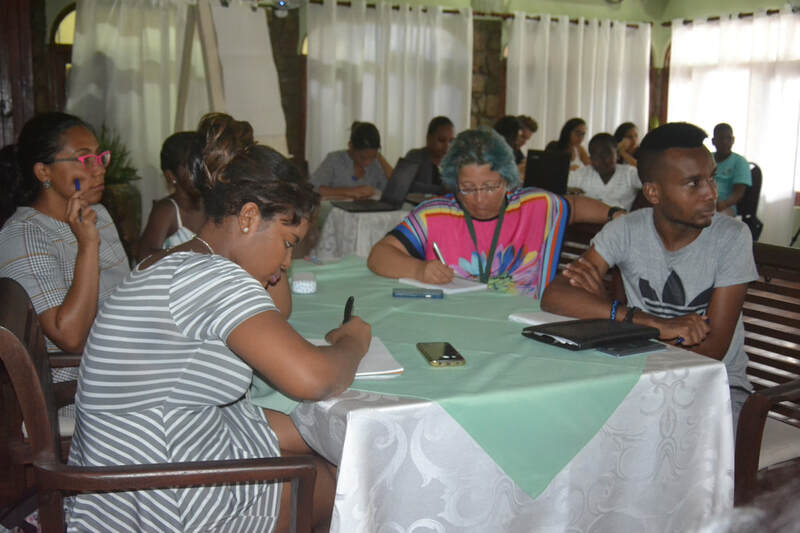 They have created 58 webinars and training videos and published 2000 articles in 107 countries. Pulling an enthusiastic group of young people on a Sunday afternoon, the training included learning about climate science followed by techniques on writing and re-framing climate stories. 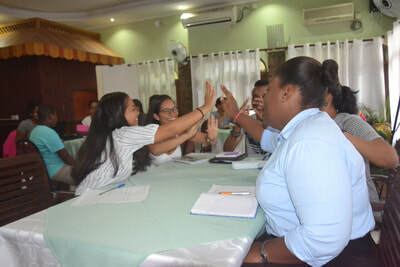 Anna Yang, a climate activist, said, “it was a mix of fun and learning, and I learned so much more about climate change even though I thought I was pretty well informed before.” Annarose Clarisse, co-founder of UN Youth Seychelles, indicated that a highlight for her was learning how to link climate change to the day to day lives of people especially how it can be linked with money, jobs and health which are always of particular relevance to people. 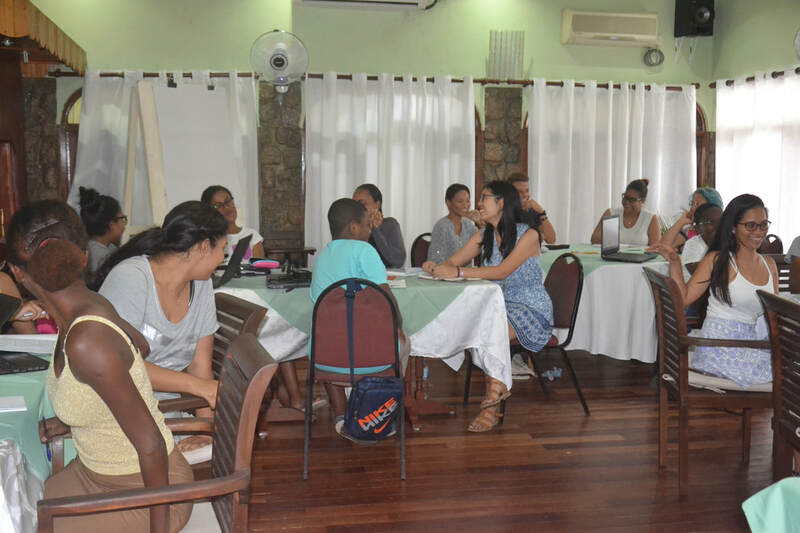 Another highlight of the programme was having the young Seychellois design their own infographics and headlines. With such tools young Seychellois are now equipped with writing about climate change and UN climate negotiations which is scheduled for November 2017. 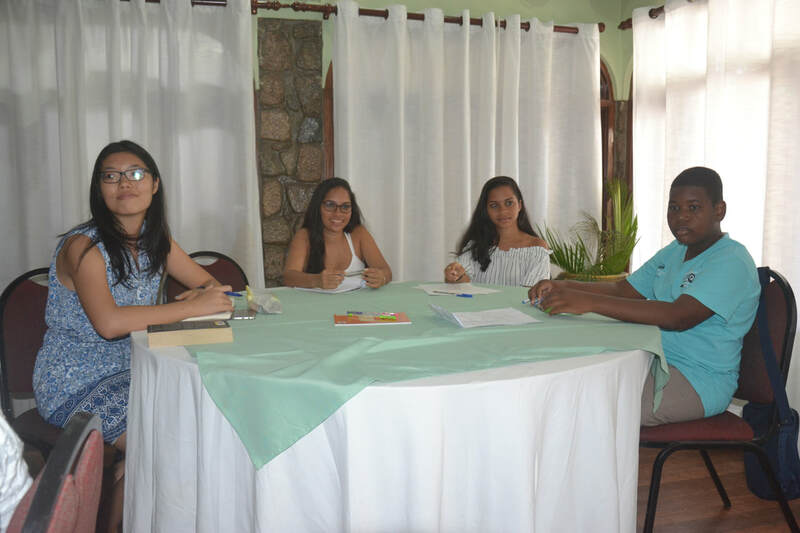 This is the third year that SYAH – Seychelles endeavours to have a youth to join the official Seychelles delegation at COP23 having had Lisa Bastienne, Angelique Pouponneau and Zara Pardiwalla at COP21 and Karine Rassool at COP22. This workshop is a collaboration between the SIDS Youth AIMS Hub, the Commonwealth Youth Climate Change Network and supported by the Environment Trust Fund, the British High Commission in Victoria, the Australian High Commission responsible for Seychelles, Mauritius, Comoros and Madagascar, the Indian Ocean Commission, Seychelles National Youth Council, the Commonwealth Secretariat, Boat House and Coco d’Or Hotel.